There’s nothing sexier than a barrage of vintage and exotic cars amidst lobster and champagne. 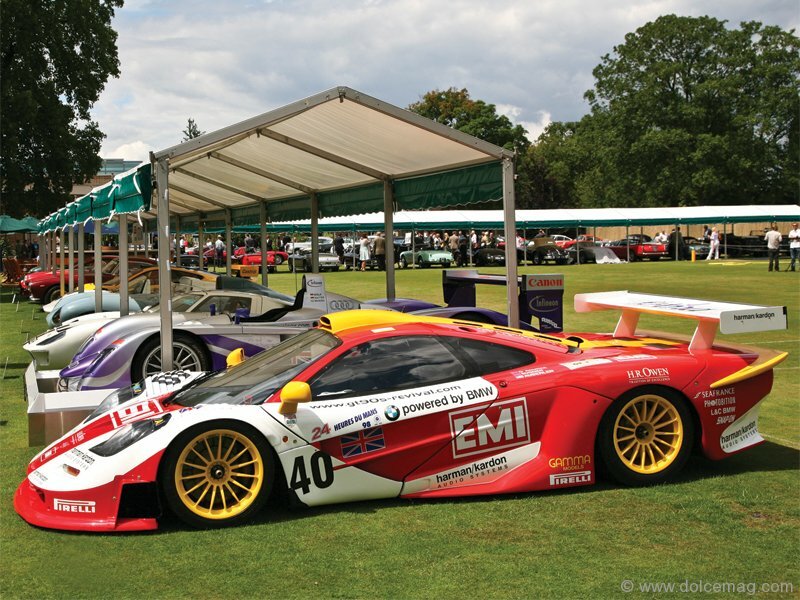 The U.K.’s luxury super car event and concours d’elégance Salon Privé had guests expecting just that, as they flocked to the prestigious three-day automotive event. The outdoor garden party has become synonymous with glamour and luxury, flaunting the world’s finest automobiles, lavish collectables, and gourmet cuisine. 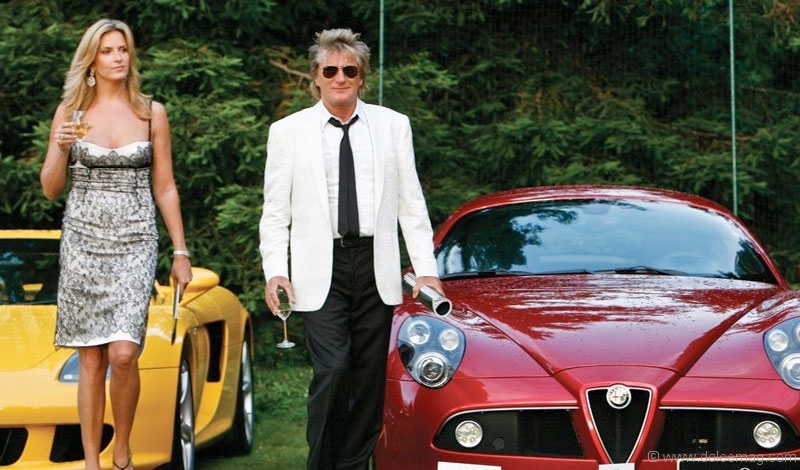 Now in its fourth year, the exclusive affair unfolded this summer at England’s posh Hurlingham Club. 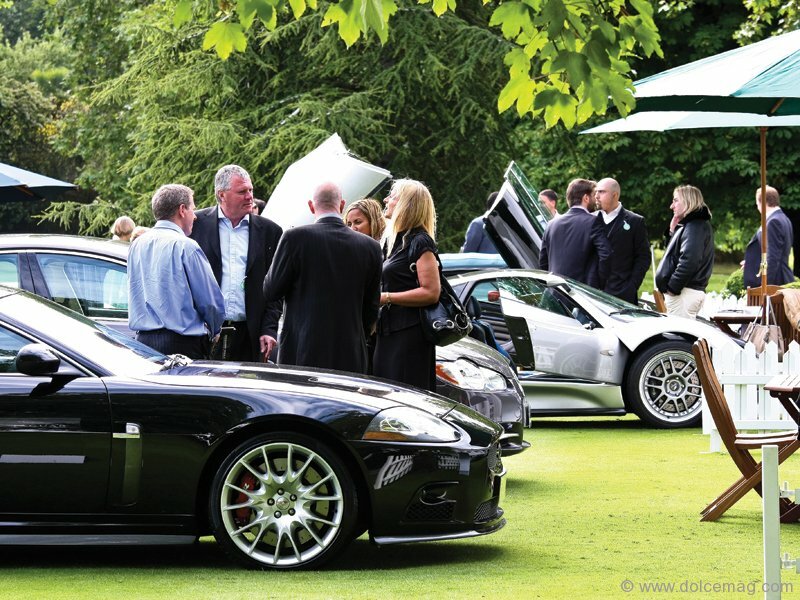 “The venue makes Salon Privé both opulent and enchanting,” says event founder David Bagley. “You are 15 minutes from Knightsbridge, and as you enter the gates at the end of a residential London street, you’re met with a beautiful white pillared house that was built in 1869.” Situated on 42 acres of plush green, the Georgian summerhouse is surrounded by over 40 tennis courts, swimming pools, croquet and bowling lawns – ideal to showcase some of the hottest modern and classical sports cars. The event’s gastronomic cuisine reached the finish line only second to the sensual sports cars, prepared by Hurlingham executive chefs. “The daytime comprises of lobster, beautiful barbecued lunches, champagne, tea, pastries, and then we have three-course menus each evening,” Bagley says. With a celebrity chef appearing on the second night, guests revved their engines while making sure to arrive on empty stomachs. Raising money for the Prostate Cancer Research Centre and Prince’s Trust, Salon Privé once again astonished and amazed, offering more than just a thrilling ride.